Thanks to your wonderful support and another fabulous group of creatively talented people putting forward their time and effort to respond to the tragic Grenfell Fire, we managed to raise £320 for the Evening Standard Dispossessed Fund for Grenfell. Well done all! Below is the info for from the fundraising page and you can also read about the fund here. An appeal has been launched by the Evening Standard Dispossessed Fund on behalf of residents of the Grenfell Tower inferno in West London. 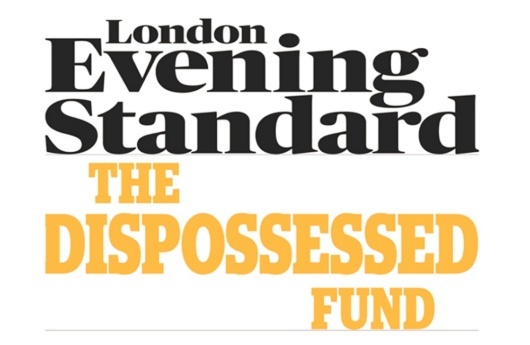 The Evening Standard Dispossessed Fund was set up in 2010 to help grassroots charities tackling poverty, inequality and exclusion across the capital. Since its launch in 2010, the Dispossessed Fund has raised £18.02 million from the general public, business, Government, Comic Relief and the Big Lottery. This is the most money ever raised by a newspaper campaign outside of war or natural disaster. So far we have distributed £11.96 million in 1,117 grants, helping more than 150,000 people across the capital. £3.9 million of the funds raised is invested in an endowment. This will remain invested and the interest gained will be used to support community projects for years to come, creating a sustainable source of funding for London. Click here to find out more about the groups we have supported and the work they have achieved so far. The Evening Standard Dispossessed Fund is a restricted fund at The London Community Foundation. They work in partnership with London Community Foundation to distribute monies received to address issues identified by the Evening Standard’s Dispossessed Campaign and to grant fund community organisations undertaking charitable work in London. Night of Small Things The Fifth! 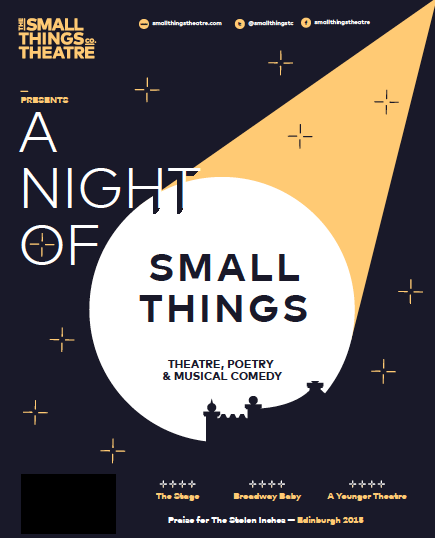 We are hosting our fifth Night of Small Things. An evening of all things theatrical, musical, comedic, poetical and anything else you might wish to share. We have been doing this for the last couple of years at our wonderful adopted home The Old Red Lion Theatre in Islington and it has always been a fantastic few evenings of some of the best new work coming up through the London Fringe. We want 15minute segments of theatre, comedy, music and poetry that can be from a larger piece of work or exist on their own. For more detailed info about our SUBMISSIONS then head to our Night of Small Things Page! This time rather than our Sunday/Monday slot we have been lucky enough to be given the PRIME TIME slot of Thursday 7th, Friday 8th and Saturday 9th December at 7:30pm! SUBMISSIONS NEED TO BE IN BY MIDNIGHT FRIDAY 4TH NOVEMBER!